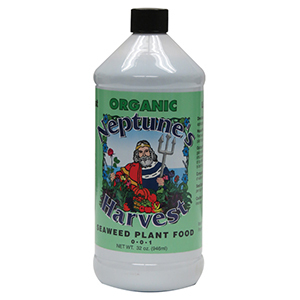 Neptune's Harvest Seaweed Plant Food -1 qt. Seaweed is an excellent addition to any fertility program! Neptune's Harvest contains over 60 naturally occurring nutrients and amino acids.